Yesterday our family enjoyed the very best ride of the season (or at least the season so far!) - Little Red Riding Hood! 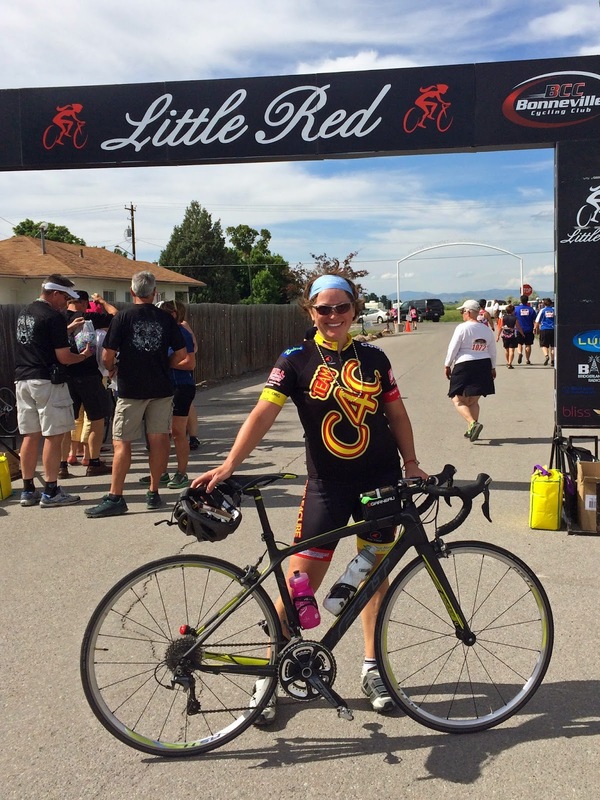 Little Red is a women's-only cycling event that benefits the Huntsman Cancer Institute. It's a girl power great ride for a great cause and this year I got to share the ride with a favorite cycling buddy - my mom! One of my favorite things about Little Red (besides the great food, great atmosphere, great cause, and fun miles) is that the whole family gets in on the action. The gals celebrate with glitter tattoos. The guys volunteer. We all eat a lot. And we camp out in Cache Valley the night before, making a one day ride into a little family vacation. Emphasis is on the glitter tattoos. They are an essential part of the celebration. And off we go! Mom and I were able to coordinate our routes and ride a good 10 or 15 miles together, which made a great day even better. Mom completed her 50 miles (wowzers!) in high style and kindly waited around for me to finish my route. I was proud to complete Little Red this year wearing my Team Cycle for Cure (C4C) colors. 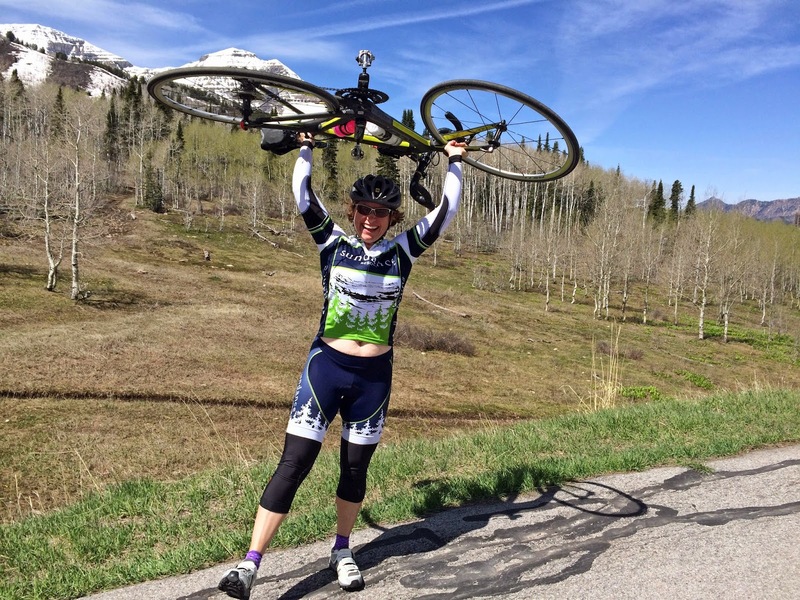 C4C is a group of like-minded cyclists who love to ride and also love to ride for a purpose. We raise money and awareness for cancer research and perhaps even more importantly we hold a cancer victim in our hearts as we ride, praying for them dedicating the journey to them. Saturday was a beautiful day to debut my C4C colors and an especially poignant one as my friend Pat passed away during Little Red. Saturday's ride is dedicated to Pat and especially to the wife, children, two small girls, and extended family grieving his loss. Please add them to your prayers in this sad and tough time. Celebrating my first ride up the Alpine Loop - my biggest climb ever dedicated to the O'Malley Family and especially to Pat as he fights an awful neurological disease. Join our Strava group so we can cheer each other on!